30km south of Avignon par la D571. While strolling through the narrow winding streets you will discover fantastic old fountains, shady squares, picturesque restaurants and elegant boutiques. From the place Jean Jaurès to the gates of the old town, you will come across a long succession of "hôtels particuliers" (often converted into museums or art galleries), convents, chapels, and ornate houses from the 17th and 18th century. The beauty of the countryside and the quality of light has inspired many artists, writers and painters. Without a doubt, the most famous was Vincent Van Gogh who produced more than150 paintings of the countryside surrounding Saint Rémy de Provence. You can walk to the very same places painted by the artist and discover the mountain of St Rémy, fields of wheat and coquelicots (wild flowers), olive trees and cypruses - all just as it was more than a century ago. 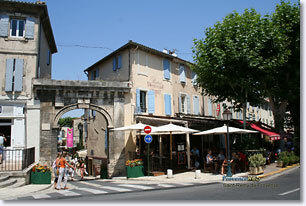 Saint Rémy de Provence is an historic village built on one of the oldest archeological sites in Europe. Visitors can fossick among the remains of the "Comptoir de Glanum" which was founded in the 3rd century BC, before control passed to the Romans under Julius Cesar. The ruins have seen the passing of several civilisations and you can visit the "grands Thermes", the long residential avenue, the temple and the natural spring of a true gallo-roman city, dating from 30 to 10 years before Christ. Two important monuments are visible next to the site : l'Arc de Triomphe and the Mausolée des Antiques. 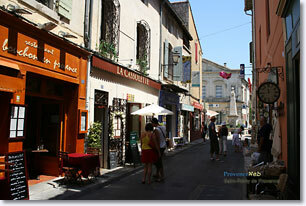 If you love history, art or charming boutiques, you will feel quite at home in Saint-Rémy. The beautiful residences on the outskirts of the village and the shady cafes of "la place Jean-Jaurès" not only attract tourists but celebrities as well. Far from the crowds of the Cote d'Azur, artists and movie stars are known to seek refuge here, where they can appreciate the unhurried pace of life. 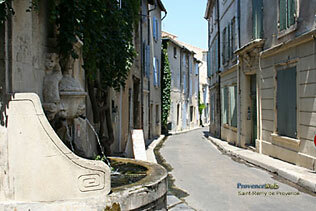 As soon as you arrive in Saint Rémy, you won't want to leave...! 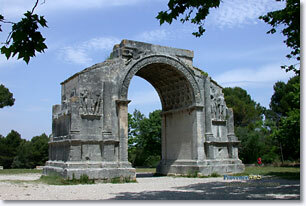 Excavations of Glanum (gallo-roman city). 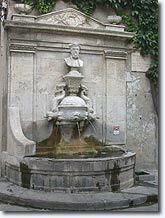 The Antiques (Arc and Mausolée of the roman era). 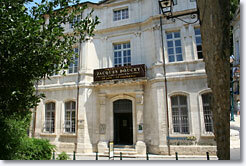 (psychiatric centre which treated Van Gogh). Collégiale Saint-Martin 14th and 18th century. Musée des Alpilles (Arts and crafts, local customs, hôtel particulier from the Renaissance era). 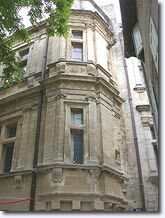 Van Gogh Art Centre (18th century Hôtel Estrine). 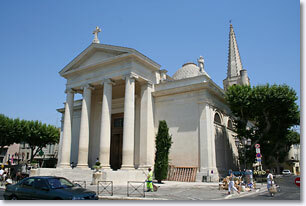 Fondation Mario Prassinos (Chapel ND de Pitié). Musée des Arômes. HQ Photos of Saint Rémy de Provence. Hiking, tourist trails, horse-riding, mountain biking. 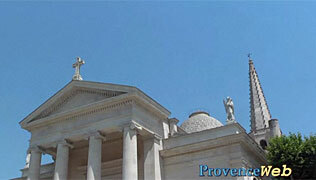 Guided visits : Van Gogh, Nostradamus and the Glanum site. 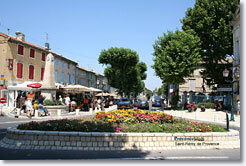 Tennis, horse-riding, gliding, swimming pool, pétanque and fishing. Gourmet restaurant. At 900 meters from the center. 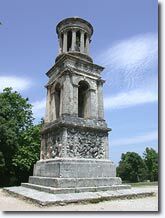 Eyragues (6km), Maillane (7km), Les Baux de Provence (9km), Maussane les Alpilles (9km).